All information offered on this website is for guidance and informational purposes only and should not be considered specific advice. This website and information are not intended to provide investment, tax, or legal advice. Every situation is unique. You should speak with your advisor prior to making any investment decisions. SGL Financial’s website contains listing for individuals who are investment adviser representatives (“IARs”) of SGL Financial, LLC (“SGL”), an SEC registered investment adviser. All advisory services are offered through SGL. Insurance products and services are offered separately through individually licensed and appointed insurance agents in appropriate jurisdictions. SGL Financial, LLC is an SEC Registered Investment Adviser located in Buffalo Grove, IL. SGL may only transact business in those states in which it is notice filed or registered, or qualifies for an exemption or exclusion from registration requirements. This web site is limited to the dissemination of general information pertaining to services offered by SGL affiliated individuals. Each individual, depending on their individual registrations and licensing, may offer various financial services products and advice. The site also may offer access to additional investment-related or other information, publications, and links. Accordingly, the publication of this web site on the Internet should not be construed by any consumer and/or prospective client as a solicitation to effect, or attempt to effect transactions in insurance, securities, financial planning, or the rendering of personalized investment advice for compensation, over the Internet. Any subsequent, direct communication by an investment adviser representative of SGL with a prospective client shall be conducted by a representative that is either registered or qualifies for an exemption or exclusion from registration in the state where the prospective client resides. For information pertaining to the insurance licensing of any individual please contact your state’s insurance regulatory division. For information regarding the securities registration of any individual please contact your state securities regulator. Further information, including a copy of SGL’s current written disclosure statement (Form ADV 2A) which discussing SGL’s business operations, services, and fees is available at the SEC’s investment adviser public information website – www.adviserinfo.sec.gov or from SGL upon written request. SGL does not make any representations or warranties as to the accuracy, timeliness, suitability, completeness, or relevance of any information prepared by any unaffiliated third party, whether linked to SGL’s web site or incorporated herein, and takes no responsibility therefor. All such information is provided solely for convenience purposes only and all users thereof should be guided accordingly. The information contained herein has been compiled from sources deemed reliable and it is accurate to the best of our knowledge and belief. However, SGL cannot guarantee its accuracy, completeness, and validity and cannot be held liable for any errors or omissions. Changes are periodically made to this web site and may be made at any time. All information contained herein should be independently verified and confirmed. SGL does not accept any liability for any loss or damage whatsoever caused in reliance upon such information. Past performance may not be indicative of future results. Therefore, no current or prospective client should assume that future performance of any specific investment or investment strategy (including the investments and/or investment strategies recommended or undertaken by SGL made reference to directly or indirectly by SGL on this web site, or indirectly via a link to an unaffiliated third party web site) will be profitable or equal the corresponding indicated performance level(s). 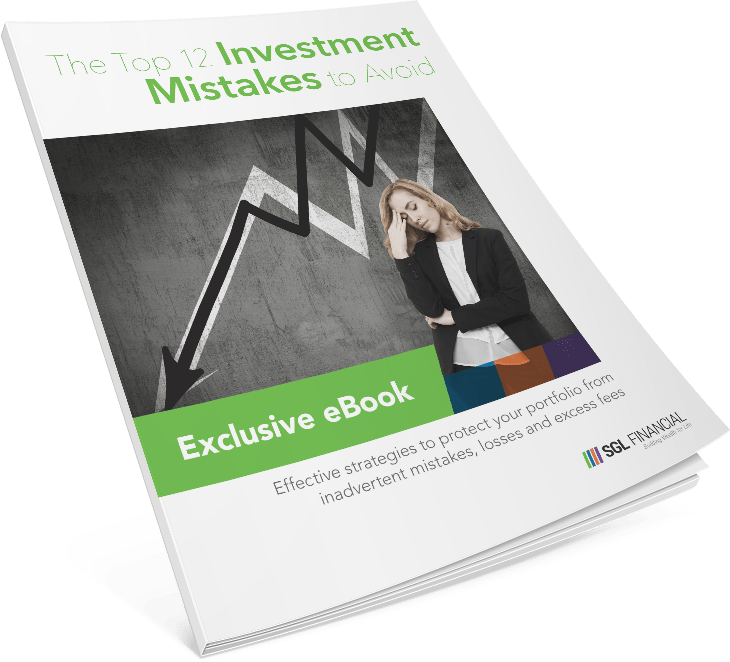 Different types of investments involve varying degrees of risk, and there can be no assurance that any specific investment will either be suitable or profitable for a client or prospective client’s investment portfolio. Historical performance results for investment indices and/or categories generally do not reflect the deduction of transaction and/or custodial charges, the deduction of an investment management fee, nor the impact of taxes, the payment of which would have the effect of decreasing historical performance results. Please remember that there can be no assurance that the future performance of any specific investment or investment strategy will be profitable. Certain portions of SGL’s website (i.e. newsletters, articles, commentaries, etc.) may contain a discussion of, and/or provide access to, various positions and/or recommendations made by SGL and/or those of other investment and non-investment professionals as of a specific prior date. Due to various factors, including changing market conditions, such discussions and/or positions may no longer be reflective of current position(s) and/ or recommendation(s). Moreover, no client or prospective client should assume that any such discussion or information presented serves as the receipt of, or a substitute for, personalized advice from WFAS, or from any other investment professional. SGL is not a law firm or accounting firm, and no portion of the web site content should be interpreted as legal, accounting or tax advice. SGL throughout this website has provided links to various other websites. While we believe this information to be current and valuable to its clients, we provide these links on a strictly informational basis only and cannot be held liable for the accuracy, time sensitive nature, or viability of any information shown on these sites. SGL FINANCIAL, LLC IS A REGISTERED INVESTMENT ADVISER. INFORMATION PRESENTED IS FOR EDUCATIONAL PURPOSES ONLY AND DOES NOT INTEND TO MAKE AN OFFER OR SOLICITATION FOR THE SALE OR PURCHASE OF ANY SPECIFIC SECURITIES, INVESTMENTS, OR INVESTMENT STRATEGIES. INVESTMENTS INVOLVE RISK AND UNLESS OTHERWISE STATED, ARE NOT GUARANTEED. BE SURE TO FIRST CONSULT WITH A QUALIFIED FINANCIAL ADVISER AND/OR TAX PROFESSIONAL BEFORE IMPLEMENTING ANY STRATEGY DISCUSSED HEREIN.